People who characterize Jeanie as a weak little girl who doesn't have the "balls" to make the tough calls haven't been paying attention. Sexism??? How is anything I said due to sexism? By the way....I am a woman myself. I'm not saying you specifically. I didn't mean to make it seem like that, I'm just remarking it here because this is a thread about her being removed. I'm just talking about this forum in general. 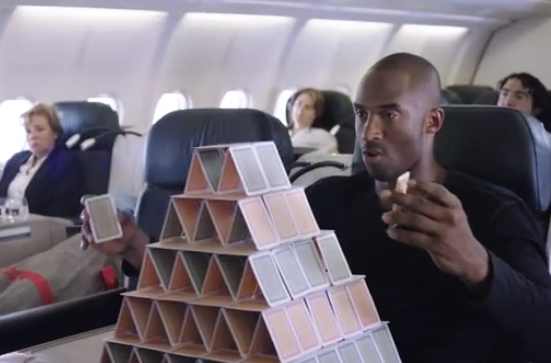 This is how we got to where the Lakers are. No one there wants to listen to criticism and learn from it. Who said anything about racism with Magic? If you need to create straw men to help your argument, maybe you should re-think your argument. There have been posters who have tried to shoot down any criticism of Magic by calling it racist. They are part of what I think of as the “You’re a Hater” crowd. They have very strong opinions, but they hate to be challenged, so when that happens they tend to dismiss opposing posters as “racists,” “haters,” etc. They seem to think that using sweeping generalizations, accusations, and emoticons gives them a pass from having to genuinely support their point of view. Jeanie Buss is the common denominator in all of this. Damn, that's a major screwup. Adding up to quite a sequence of mistakes under her reign. 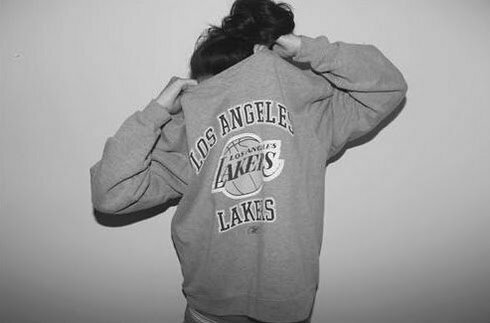 Now, with Magic deserting, and Luke firing, she's standing alone facing an angry Laker nation. Jeanie at least needed the charisma of one of those guys, Luke or Magic, to help her navigate through this mess, fend off some of the arrows. All she got now, is sorry excuse of GM, Pelinka. Fire the boss, sounds like a solid plan. Jeanie is weak. Couple that with her delusions that anyone she hires has to have Lakers ties and the answer is a resounding yes: she should step down immediately. If Pelinka continues to shut out the younger Buss boys they could team up with the older Buss boys and do just that. That's nothing compared to what they said about the black guy. Jeanie was around for Jim/Mitch, then Magic/Rob, and whoever replaces Magic/Rob. She has been the constant. We can blame the Departed as much as we want but she has always hovered above them all. She had no say in the Jim and Mitch era. Dr. Buss put Jim in charge of basketball operations and she sat off to the side and let him do his thing. The only hires you can directly relate to her are Magic and Rob. "No say..." I'm not sure about that. My point is, at some juncture you take the credit/blame as the highest person on the org chart. For that, there is a lot of fair criticism. You can call out the individuals making actual sexist comments, but other legit criticism cannot be shielded by that. Sure, if you think Magic and Rob were bad hires, that is completely understandable and valid. It's a matter of opinion. My counter to that would be it's too soon to judge any of these moves. Magic walked off the job in a pretty humiliating fashion. We signed LBJ and missed the playoffs. Rob's rep is tattered and the whole organization is a mess. There's a difference between "we can turn things around" and "right now, we are a mess." Right now it's the latter, with the HOPE of the former. You see a mess and that's fine. Beauty is in the eye of the beholder. I see a team that was besieged by injuries, still has LeBron James, a lottery pick, money for a max slot, and several talented young players. This season was a disaster, but it doesn't mean the future has to be. Don't waste your energy, my man. LG whining is like therapy. The whole board is a P&M thread. I finally got the hint. how many more years do you need to realize she is not qualified. That's the person running the Lakers! Unbelievable. Well, she was part of the denominator a year ago, too, when the team she hired took a great leap forward with the excellent draft picks. What changed is Magic was seduced by the opportunity to sign Lebron James, accepting all the baggage that comes with it. I wonder what your thoughts would be if instead of a she it was a he. People have been ridiculing bad sports owners since BC. Why are you being a white knight here? Jeanie has showed zero creativity in owning a sports team. She has literally asked her friends to “fix it” for her. No desire to find management talent outside of people that have been speed dials on her phone for decades. She is over 50 years old but her demeanor is that of a 20 years old. All that said I’m not ready to quit on her yet. The next 3 years LeBron is running the Lakers. That is a fact. After Bron is gone she has to show some creativity. If not, then she needs to go. Not that it will happen. See Dolan and Sterling. My understanding that based on the trusts and the outcome of the settlement with Jim and Johnny that they couldn’t vote Jeanie out of the controlling director position. Their only recourse is to vote to sell the team. For all extents and purposes, she owns the Lakers until none of them do. To be clear, I'm not saying that many of the criticisms aren't warranted. As noted on other occasions some of it has been excessive and demeaning. I also don't intend to stifle the expression of frustration. I just feel like some of you might be just a bit overly invested emotionally. At the end of the day we're just talking about basketball. I also don't believe we have any say on whether or not she relinquishes ownership of her property, simply because we don't like how she manages it.